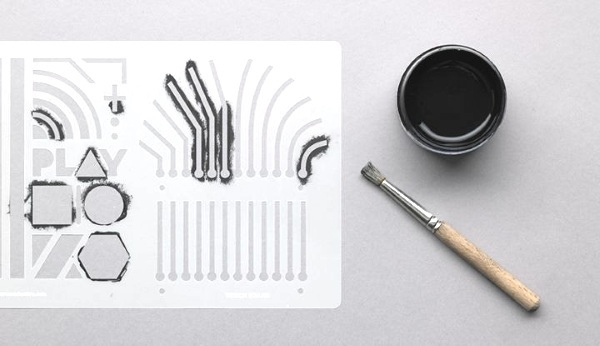 We’ve seen pens that have conductive ink, wallpaper that can be used to design your own moving wall based play zone and now we’re looking at Electric Paint, the black paint that lets you paint circuits and sensors on whatever you want. This paint is heavy, goopy black paint. It can be used with a number of surfaces including plastic, paper, and even other electronics. It functions much the same way as the electric conductive pens. Paint your circuit, attach your components and have fun! The paint can be used with Arduino, Raspberry Pi, and e-textiles as well as other components. You can paint with stencils or just freehand it as you see fit. The key is to make sure you have good coverage for a strong connection. You can have any color you want, as long as you want black. Electric Paint is $23.50 for a 50ml jar.